Still needing a gift for mom? 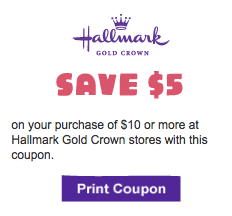 Print a $5 off $10 Hallmark coupon and take it with you to when you do your Mother's Day shopping! This coupon is valid through May 13, 2012.